Virginia Beach Garage Door Pros has years of experience repairing both residential and commercial overhead doors in Chesapeake, VA. Our team also provides installations, along with garage door opener services. It's important to note that your garage door is largest moving appliance in your home—not to mention, it’s also the largest door and general opening to your hope. With this in mind, you can imagine that this fact would make your overhead door quite exposed and susceptible to damage. This is why it’s important that you choose the right door and a strong door to meet the needs of your current property—whether that be residential or commercial. There’s many different things to consider when narrowing down your new garage door. One important factor is style and features. To start, you may want to decide whether you want windows in your garage door. Besides the fact that windows are nice to have, adding windows to your garage doors will ensure that your garage gets more natural light and looks sophisticated while at it. However, you need to know that windows serve as a big structural weak spot. For those living is areas that are prone to storms, especially an area filled with trees, having windows in your garage door may not be in your best interest. Another cool thing to add to your garage door is color. Deciding on the color before installing your garage door will provide you with a lot of convenience as a painter would have done the job beforehand. Doing it this way will also end up saving you costs. Another vital aspect is material type. Today's garage door materials have come a long way, and many can withstand harsh weather conditions like rain, snow, sleet, and strong winds. 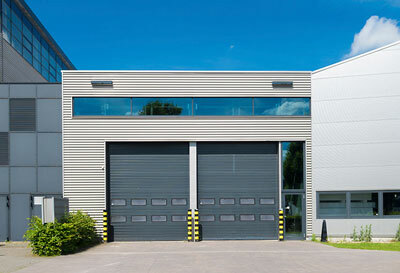 Steel has become a very popular garage door material and is only continuing to grow in its popularity. Why? Well, these garage doors are often very reasonably priced, durable, and low maintenance, and they come in a variety of styles. If you're looking to add a touch of style to your country home, you may want to consider installing a natural wood garage door. Wooden garage doors are available in a variety of finishes and species, from beautiful Cedar and Redwood to tropical Luan wood and more. Most wooden garage doors are built with layers or plies to prevent the wood from warping in different weather conditions. These doors can be factory-stained or painted to your liking as well. Finally, if your home features extra wide double doors, aluminum garage doors may be a great option for your home. Aluminum garage doors are known to be extremely lightweight, and the newer models are much more sturdy than they used to be. Many people will order aluminum garage doors and have them painted to mimic the appearance of wood. 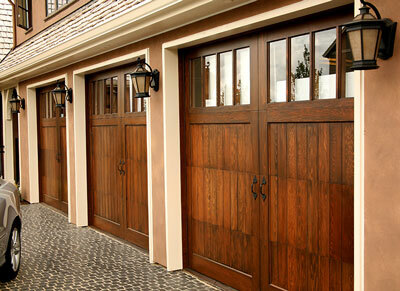 Another benefit of these garage doors is that they are known to be dent resistant and rust proof. To learn more about new garage doors for your Chesapeake, VA home, be sure to set up a consultation with our staff at Virginia Beach Garage Door Pros.